Albert Einstein, along with other Jewish luminaries, including Hannah Arendt, published a letter in the New York Times on December 4, 1948. That was only a few months after Israel had declared its independence and as hundreds of Palestinian villages were being actively demolished after their inhabitants were expelled. The letter denounced Israel’s newly-founded Herut party and its young leader, Menachem Begin. Herut was carved out of the Irgun terrorist gang, famous for its many massacres against Palestinian Arab communities leading up to the Nakba, the catastrophic ethnic cleansing of the Palestinian people from their historic homeland in 1947-48. For a letter of this nature to appear a mere few years after the end of World War II and the devastation of the Holocaust is a profound indication of the clear chasm that existed among Jewish intellectuals at the time: the Zionists who supported Israel and its violent birth, and those who took the high moral ground and objected to it. Sadly, the latter group – although still in existence – had lost the battle. Herut later merged with other groups to form the Likud Party. Begin received the Nobel Peace Prize and the Likud is now the leading party in Israel’s most right-wing government coalition. The ‘Nazi and Fascist’-like philosophy of Herut have prevailed, and it now engulfs and defines mainstream society in Israel. This right-wing tendency is even more pronounced among young Israelis than previous generations. Prime Minister Benjamin Netanyahu is the leader of Begin’s party, the Likud. His current coalition includes Russian-born Defense Minister, Avigdor Lieberman, founder of the ultra-nationalist party, Yisrael Beiteinu. When the Defense Minister of a country espouses this kind of belief, one can hardly be shocked that Israeli snipers are shooting Palestinian youngsters, while cheering on camera as they hit their target. This kind of discourse – Fascist par excellence – is by no means a fringe narrative within Israeli society. Netanyahu’s coalition is rife with such morally-objectional characters. Israeli politician, Ayelet Shaked, has often called for the genocide against Palestinians. A few months after the publication of the statement, Netanyahu, in December 2015, appointed her as the country’s Justice Minister. Shaked belongs to the Jewish Home Party, headed by Naftali Bennett. The latter is Israel’s Minister of Education and known for similarly violent statements. He was one of the first politicians who came out in defense of Israeli soldiers accused of violating human rights at the Gaza border. Other top Israeli politicians followed suit. On April 19, Israel celebrated its independence. “The Nazi and Fascist” mentality that defined Herut in 1948 now defines the most powerful ruling class in Israel. Israel’s leaders speak openly of genocide and murder, yet they celebrate and promote Israel as if an icon of civilization, democracy and human rights. Even cultural Zionists of old would have been terribly horrified at the creature that their beloved Israeli has become, seven decades after its birth. Certainly, the Palestinian people are still fighting for their land, identity, dignity and freedom. But the truth is that Israel’s biggest enemy is Israel itself. The country has failed to part ways with its violent politics and ideology of yesteryears. On the contrary, Israel’s ideological debate has been settled in favor of perpetual violence, racism and apartheid. In the supposed ‘only democracy in the Middle East’, the margin of critique has grown very limited. It is the likes of Netanyahu, Lieberman, Bennett and Shaked who now represent modern Israel and, behind them, a massive constituency of right-wing religious and ultra-nationalists, who have little regard for Palestinians, for human rights, international law and such seemingly frivolous values as peace and justice. 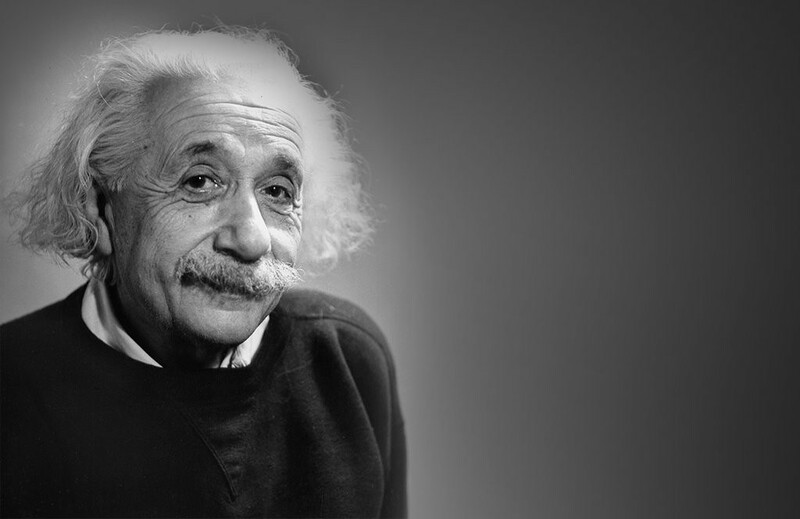 In 1938, Einstein had contended with the very idea behind the creation of Israel. It runs counter to “the essential nature of Judaism,” he said. Needless to say, if Einstein was alive today, he would have joined the Boycott, Divestment and Sanctions (BDS) Movement, which aims at holding Israel accountable for its violent and illegal practices against Palestinians. Equally true, he would have surely been branded anti-Semitic or a ‘self-hating Jew’ by Israeli leaders and their supporters. Today’s Zionists are, indeed, unfazed. But this painful paradigm must be overturned. Palestinian children are not terrorists and cannot be treated as such. They are not ‘little snakes’, either. Palestinian mothers should not be killed. The Palestinian people are not ‘enemy combatants’ to be eradicated. Genocide must not be normalized. 70 years after Israel’s independence and Einstein’s letter, the country’s legacy is still marred with blood and violence. Despite the ongoing party in Tel Aviv, there is no reason to celebrate and every reason to mourn. Yet, hope is kept alive because the Palestinian people are still resisting; and they need the world to stand in solidarity with them. It is the only way for the ghost of Herut to quit haunting the Palestinians, and for the ‘Nazi and Fascist’ philosophies to be forever defeated. Even after so many years of Einstein forewarnings, very little seems to have changed in isreali perception. It still commits atrocities on Palestine people with impunity. Though there may be a few Jews or Israelis against their Zionist rulers majority have not come out against their ruling elite.